Hey guys! 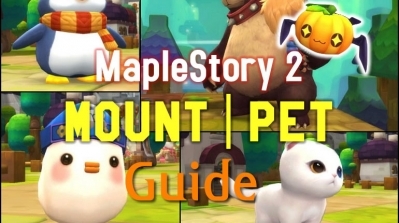 I got a couple of things to talk about today, the first is our first look at MapleStory 2’s Heavy Gunner! They actually asked users what to name this skill, there was a poll for (Electric/Hyper/Lightning/Laser) + (Blast/Launcher/Cannon/Shock) but in the end, Electric Blast won out. 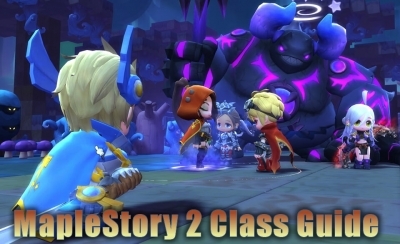 The MapleStory 2 team talked about how they worked on creating Henesys, including details such as scale to characters and putting an emphasis on the lush green palette. They encouraged users to look at the stones around the town, some might have writing on them! 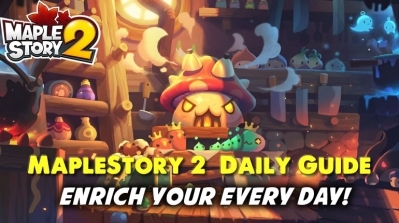 They also said they are continuing to improve it so Henesys might look a bit different next time MapleStory 2 is available! And here’s an illustration for White Day, featuring some MapleStory 2 suitors. 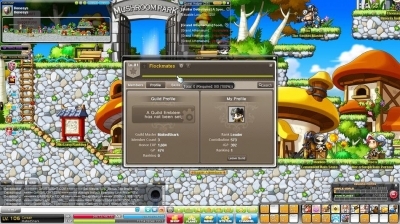 In MapleStory news, information has been released about the next patch of the Creation 12 update! It seems like the Development part will be split into two, the first which was already released and this new second part. Still stuck on the 2nd floor? Renewed stages and rewards, and rankings will be added to The SEED R, which arrives on March 26. New features and upgraded action never seen before in Maple in the returning Xerxes of Chryse party quest which will be added on April 2. Ooh, Chryse is going to return! 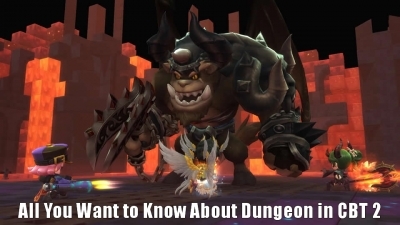 Although… as a party quest? What are they gonna do with that entire area on the world map? 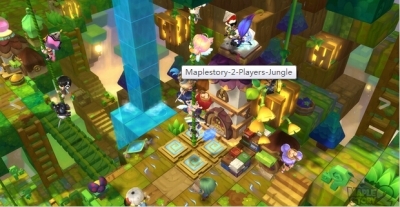 Finally, this is more speculation than anything, but in an article about Nexon, they had a picture of MapleStory’s development team, talking about the next update to the game. In the background, you can see they have a presentation up and the title at the top says [Hunting]. They might be working on another way to update hunting mobs? 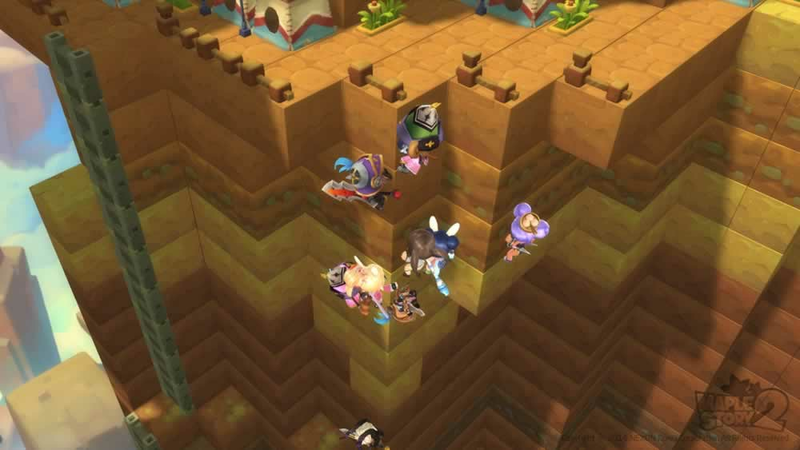 I really liked what they did with Elite Monsters and Bosses in You&I so I’m looking forward to it a lot! 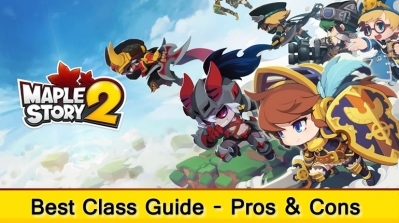 For those of you who love MapleStory’s artwork and soundtrack, they’ve been doing something special recently. They have created archive websites for Friends Story and Black Heaven where you can download all the art and listen to all the songs as well as watch any videos they released. Unrelated but have you guys watched Unbreakable Kimmy Schmidt yet? The entire season was released on Netflix and it was really good! I loved 30 Rock so this was an obvious choice for me haha. The opening theme is so catchy!